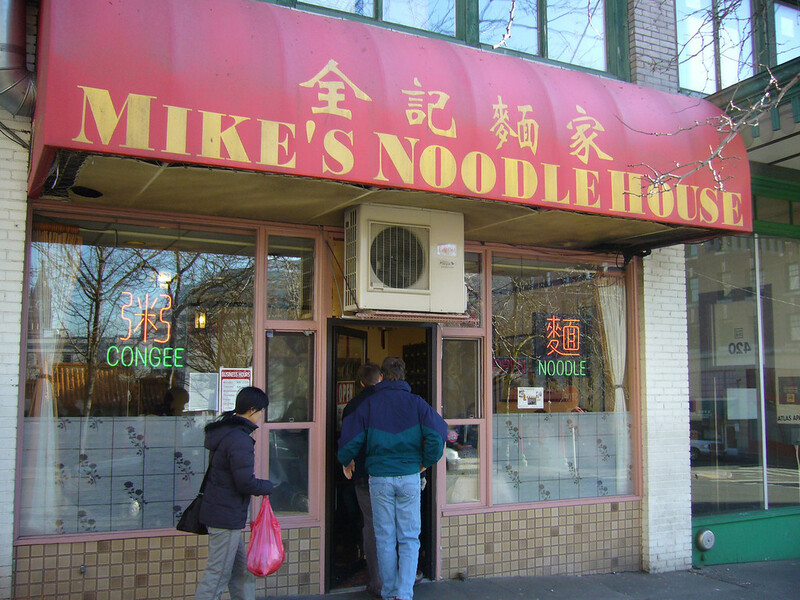 After Monday's failed attempt at Mike's Noodle House, the MSG150 team set out early to make sure we could get in this time. It was still a close call. There were eight of us and we had to split into two tables. The first group was seated right away, but the rest of us had to wait for a table to open up. It is obviously popular and the staff was very efficient with their small space. After lunch, as we headed back to work, we passed by Unicorn Crepes and were happy to see that they had a crowd of people enjoying their delicious crepes. MSG150 is rooting for the Unicorn. Do they use MSG? : No, and there is a message on the cover of the menu that states this fact. Mike's is a small space but still seems to move people through quickly. Neither of the two servers were very friendly, but what they lack in warmth, they made up for in efficiency. 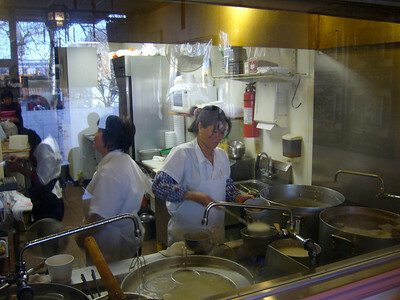 The two of them handled twelve tables and dealt with the steady flow of people waiting. Also of note, one of them had palm trees (or flowers maybe) painted on her fingernails. I have been to Mike's before, a couple of years ago, and ordered the Black Chicken Congee. I was with Frank, a Chinese speaker, and he had me convinced that Black Chicken is crow. As it turns out, black chicken is a small chicken with black skin, black bones, black meat, and apparently five toes. 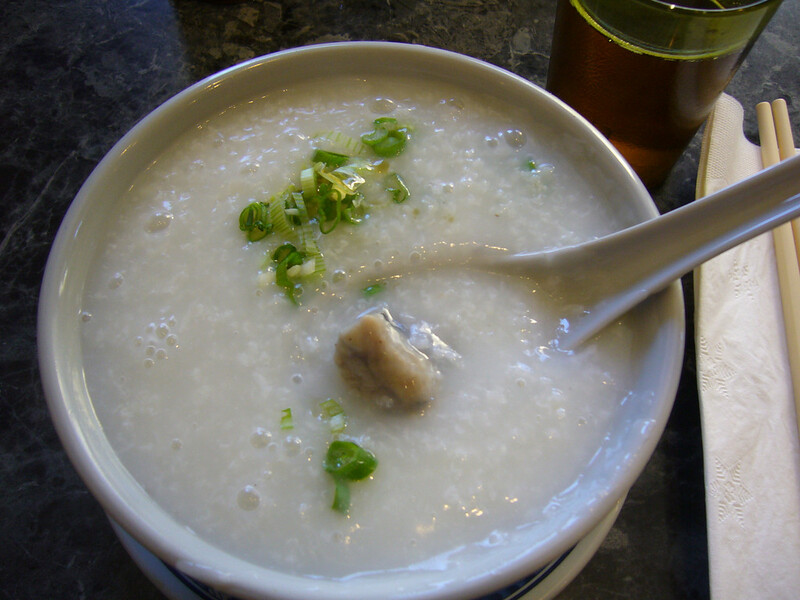 The down-side of the black chicken, especially in congee, is that since it is small and prepared in the typical Asian fashion of being hacked into small chunks, bones and all, and is therefore fairly labor intensive to eat. It was, however, tasty. I have always wanted to come back and try Mike's again. The neon signs in the window call out "Congee" and "Noodles". I had the congee last time, so I ordered the Sui-Kau & Brisket Noodle Soup. 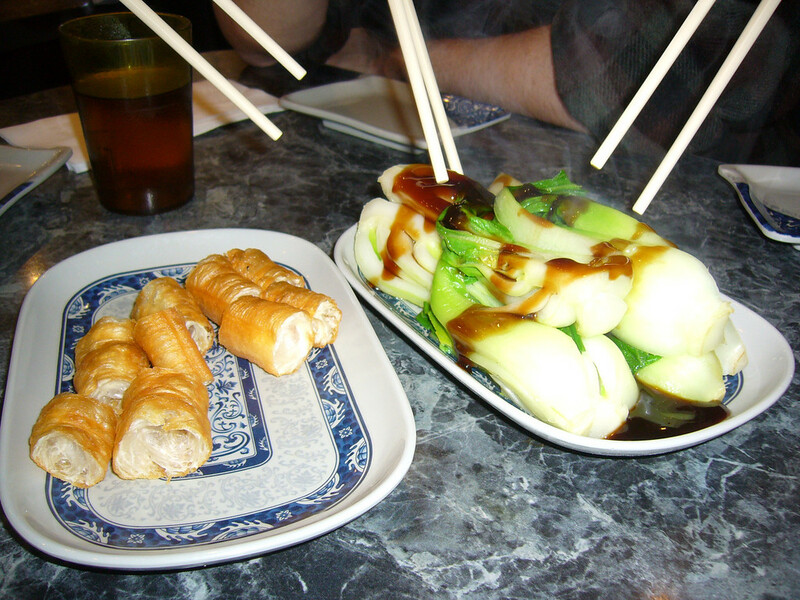 We also ordered Baby Bok Choy and Chinese Dough Nuts as starters. The Bok Choy was fairly standard, steamed and drzzled with oyster sauce. The Chinese Dough Nuts were new to us. They are long deep fried tubes of very slightly sweetened dough chopped into bite sized pieces. 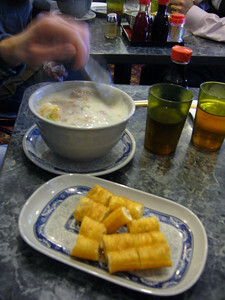 They are not very interesting by themselves, but it appeared that most people were dipping them in or adding them to their congee like you might do with crackers in clam chowder. My noodle soup was good. 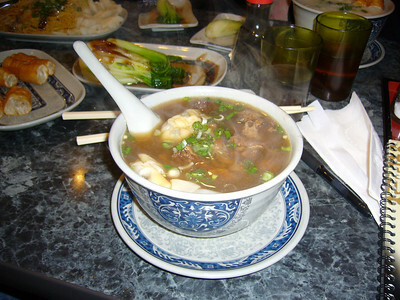 The sui-kau, dumplings with shrimp, pork, mushroom, and other veggies, were the gem. The beef was good too, but the broth and noodles were not nearly as good as the Gourmet Noodle Bowl or Szechuan Noodle Bowl. I'll come back again for sure, but will stick with the congee. 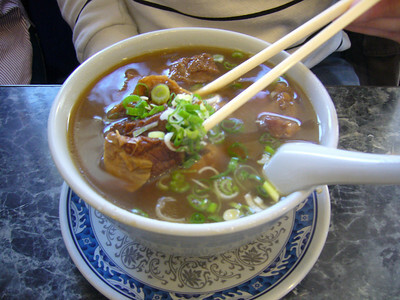 There are much better spots for Beef Noodle Soup. we tried to sneak out of the office so we'd only have a small group going to Mike's small dining room. When we arrived at Mike's we had managed to only accumulate 8 people. Flipping through the menu, I determined I definitely wanted to try congee... and I wanted something "classically congee." I figured "Black Chicken" would be some cajun-esque blackened chicken. Holy crap... the chicken in my congee was black as Steven Hawking's blackhole. Ok, so if you don't know what black chicken is, it is actually a type of chicken called a Silkie. The Silkie's skin and bones are actually black. The meal was totally new to me. It was good, but nothing special. I'll go back to try this place again. Good food. Pretty good prices. Very popular. This tiny restaurant was crowded, usually a very good sign. The staff was quick, friendly, and polite, and the interior was very clean and well decorated. 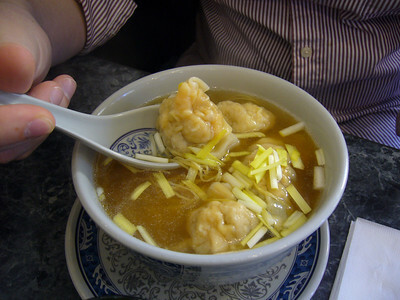 I ordered the Sui-Kau and Wonton Noodle Soup. They certainly didn't skimp on the wontons and sui-kau. THe soup was literally loaded with them. I counted 5-6 in a pretty small bowl of soup. And they were huge! They tasted home made and were delicious. 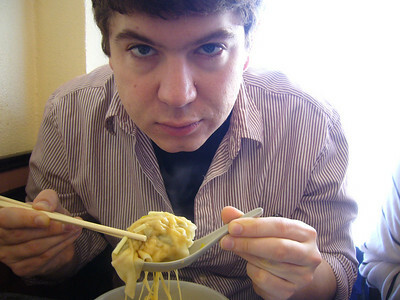 The wontons were stuffed with shrimp and shiitake? mushrooms, while the sui-kau had pork and shrimp in them. 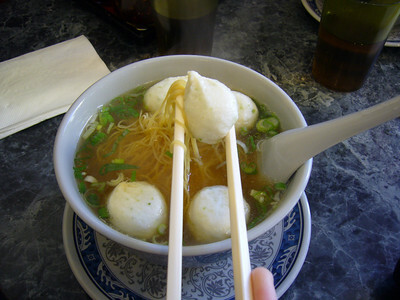 The broth was flavorful and tasty. 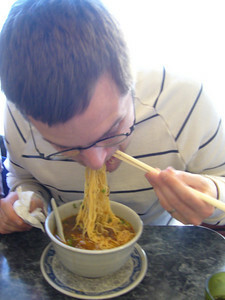 The noodles themselves were average - typical skinny ramen noodles. 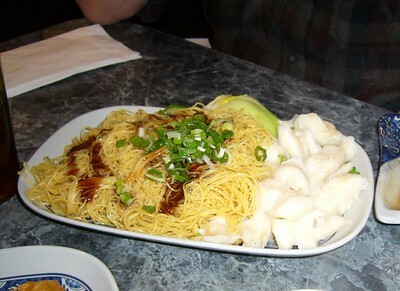 I prefer the thicker noodles of Szechuan Noodle Bowl and Gourmet Noodle Bowl. All in all this place was tasty and pleasant. I'll definitely be back. Everything was tasty and fresh. Cooked just right. This place is worthy of many return trips. Seems to be a popular lunch spot. Expect a crowded house and little elbow room. 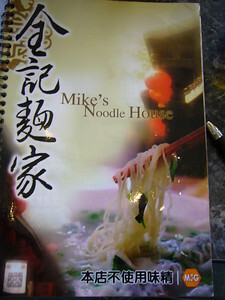 I'd been to Mike's Noodle House once before a year or two ago and had chosen poorly -- I got some sparse non-soup noodle dish instead of the congee. The MSG150 mob arrived earlier this time, in two groups of four. The first group sat down about the same time as my group showed up, and we had to wait no more than ten minutes for one of the four seat tables to "open up" -- if there are larger groups waiting (and there usually are) groups or two or one sitting at a four-seater get asked (politely but efficiently) to move to two seat tables when those open up. Gotta keep that soup flowing. Anyway, I flipped through the extensive menu until I reach the congee page. 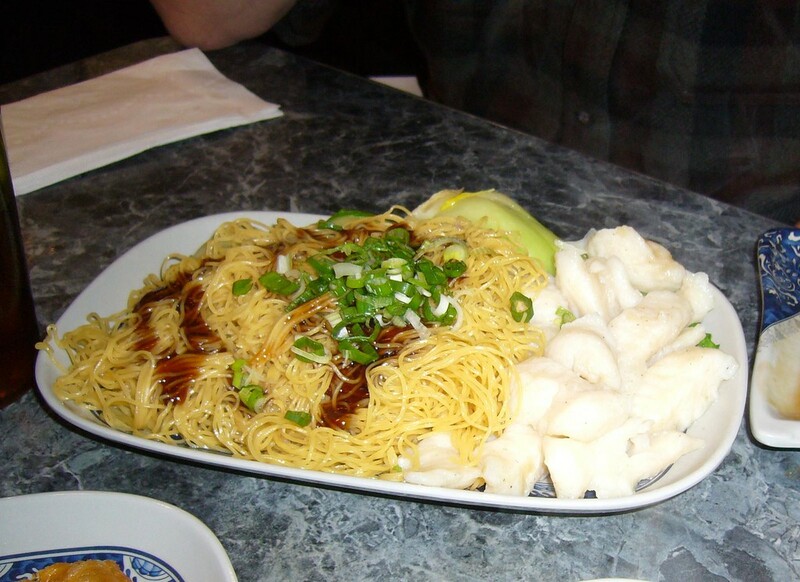 Decisions, decisions: rock cod, taro and water cress, or sweet corn and white fungus? I flipped a mental coin and it came up rock cod. 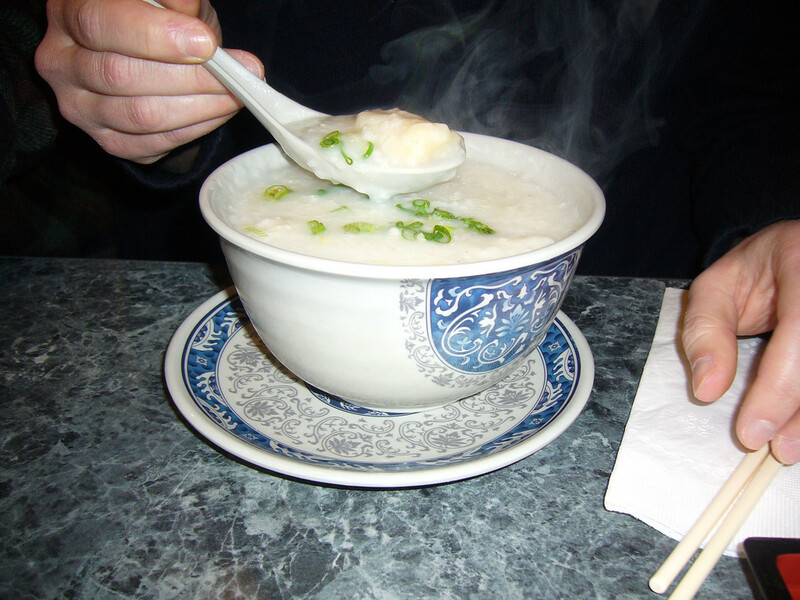 This was my first time having congee, actually, and I must say it was glorious. It was thick and piping hot, with enough subtle flavor to forgo adding anything other than pieces of Chinese donut (highly recommended - the tubular bits of thin, fried dough with the congee were awesome), and the generous amount of cod was tender and flaky. On a freezing cold winter day, this was absolutely perfect. Can't wait to go back. I ordered the beef brisket so that I could have a direct comparison to the Gourmet Noodle Bowl. The beef was seasoned nicely, but was not better than Gourmet. Secondly, the noodles were not homemade and not as tasty Gourmet. The lunch atmosphere was definitely happening in this small dining room and I would definitely go back. I love beefy cream of wheat rice! 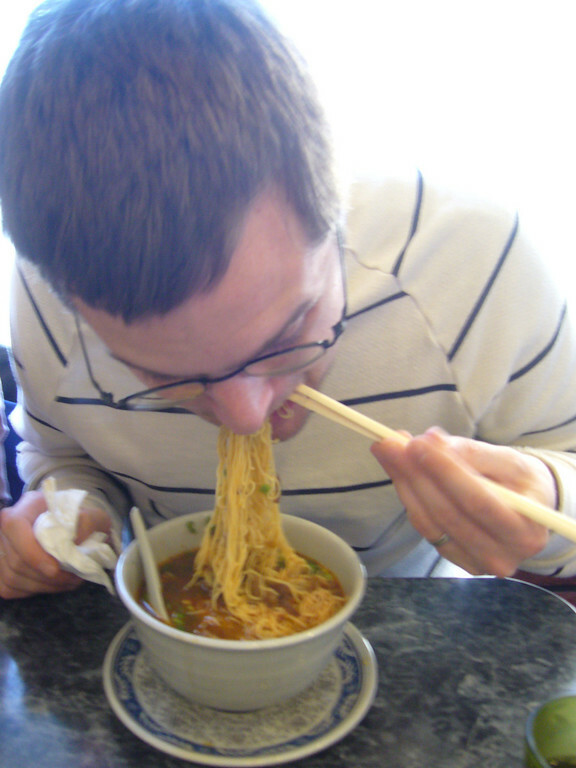 Next time, try the fun noodles in your noodle soup.